We arrived at Cherry Hill RV Park in Kaysville, UT on April 29th. We choose this park because it is only about a mile and a half from our son’s house. 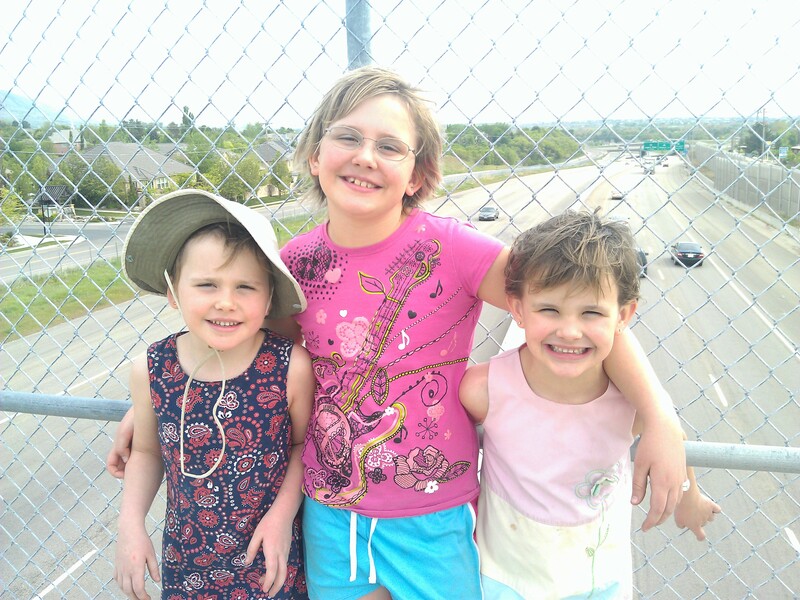 Spending time with his family was our primary purpose for our stay in the Salt Lake City area and this was about as convenient as you can get. Cherry Hill operates a water park as well as the campground. It is a nice place to stay and the monthly rates make it very affordable. The park gets very busy on the weekends, but we never felt cramped or overwhelmed by the activity. While your camping fee does not get you into the water park, there is a playground and pool that are open to campers at no additional fee. This was nice for our granddaughters when they stayed with us. 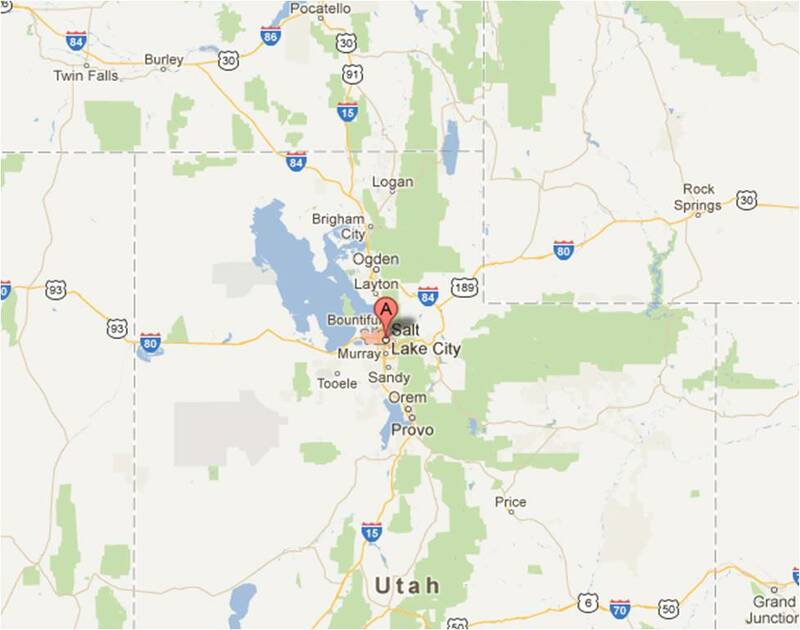 I never considered Utah as a place to go SCUBA diving, but the Salt Lake area offers some unique diving sites. Scott and Sandra thought we should check out the Bonneville Seabase. Our first Saturday in town we left Pat to play with the girls while the three of us went diving. It was a unique experience as this is an excavation over a natural hot salt spring. You can dive in tropical conditions even in the middle of winter. They have constructed a shelter over the spring with areas to don your gear and walk into a tropical ocean setting, with tropical fish, including a shark. They feed the fish at 8:00 every morning and you can buy lettuce to feed the fish while you are diving. There are three lagoons that are connected by underwater tunnels, so you have a fairly large area to swim in. Unfortunately the visibility was only about three feet so I didn’t have much luck with underwater photography, but it was a fun dive. In addition to seeing family, we were making our final preparations for our RV caravan to Alaska. This included getting wheel bearings packed and brakes inspected on the trailer and scheduled services performed on the truck. Fortunately we were within a short drive to Young Buick/GMC and the Kaysville Camping World, so it was a simple matter of making appointments and getting the work done. We also made the local AutoZone happy with our purchases of spares and lubricants to take on the trip. We were able to have the girls join us in the campground on the weekends, when they didn’t have school. They were a joy to have around. 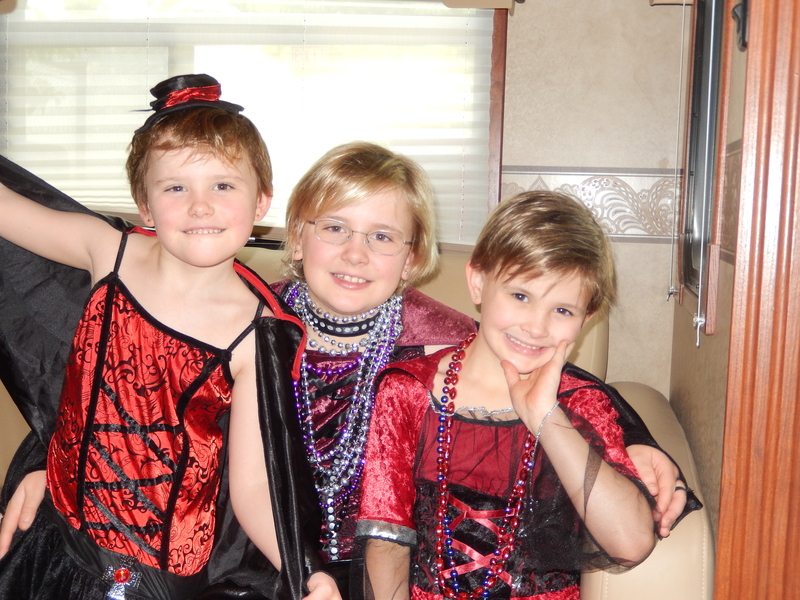 I think one of their favorite activities is “dress up,” with some Halloween dresses we bought a couple of years ago. We would play at the local parks, the playground and pool at the campground. They enjoyed helping Pat with meals and going geocaching with me. We spent a lot of time finding geocaches in the area, often combining our caching with a bike ride. Sometimes they had the sharpest eyes and found the cache before I could. We were able to have the whole family out to the trailer for dinner at least once a week as well. It was great to have them all together and have a relaxing time to enjoy each others company. On Memorial Day, we attended the ceremony at the cemetery in Farmington. After the ceremony by the local American Legion Post we wandered through the cemetery looking at the gravestones. It was interesting to see some of the older Mormon grave markers showing several wives and one husband. 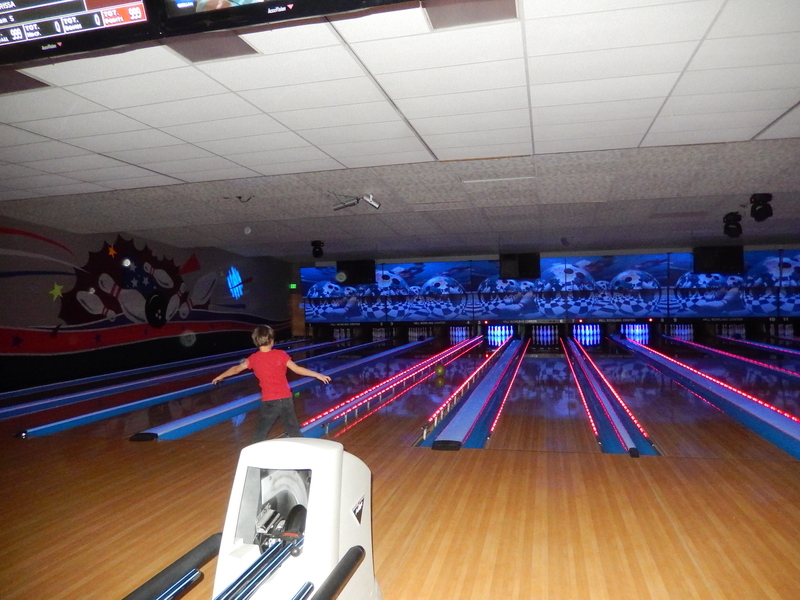 Hill Air Force Base offers a bowling special and we took advantage of that one Saturday. We all enjoyed the pizza and pop while bowling. The twins actually did pretty good, although they do have the benefit of having bumpers in the gutters! We offered the girls a trip to the new Museum of Natural Curiosity for their birthday gifts and they jumped at the chance. The museum was HIGHLY interactive and great fun for all of us. 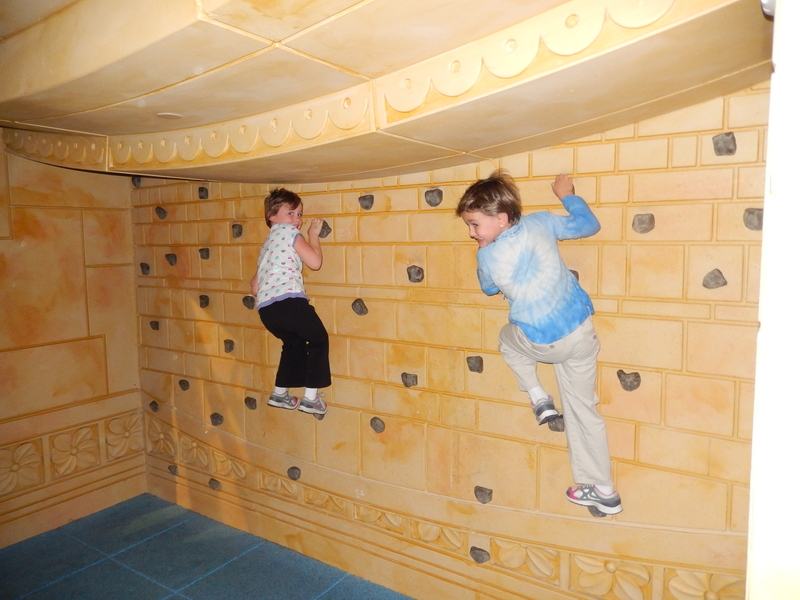 In the Rain Forest they climbed on a huge, multi-layered spider web and climbed through pitch black tunnels. The Water Works has all kinds of displays to change the course of water, be in a virtual tornado, see how earthquakes destroy buildings, and much more. They had a chance to be bankers, act in plays, build bizarre shapes from blocks, and play electronic instruments in the Town of Kidopolis. After a picnic lunch, a walk through the outdoor maze and aquarium, brought us back inside. Our final stop was the Innovation Gallery where kids who had never met each other turned into a “flash mob” to build a wall almost the length of the room. This room is totally unstructured to allow the kids to use their natural creativity and curiosity with the materials available. 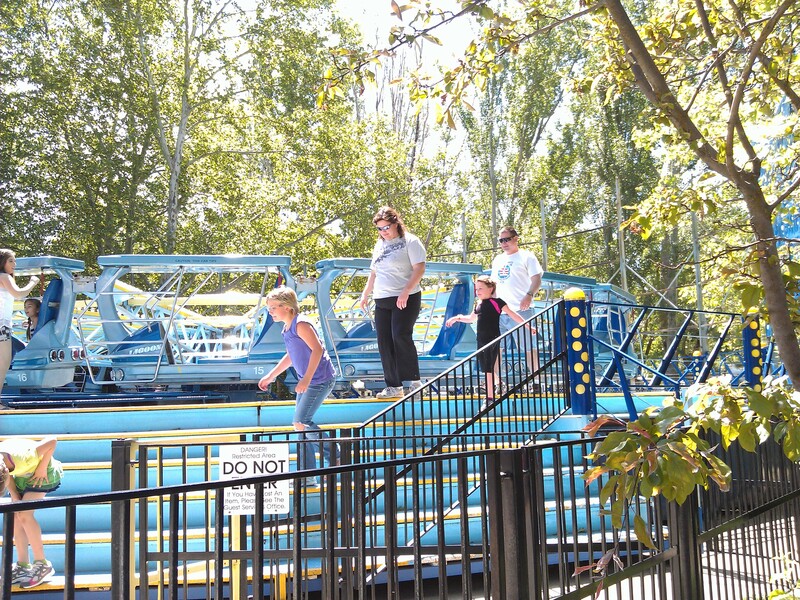 Starting on Memorial Day weekend the girls were able to use their season passes to Lagoon, a local amusement park that includes a water park. Pat and I also got season passes so we could take them as often as we wanted. One of the advantages of being an “official” senior citizen is my pass was half price! Lagoon was a popular activity, we were there every weekend. 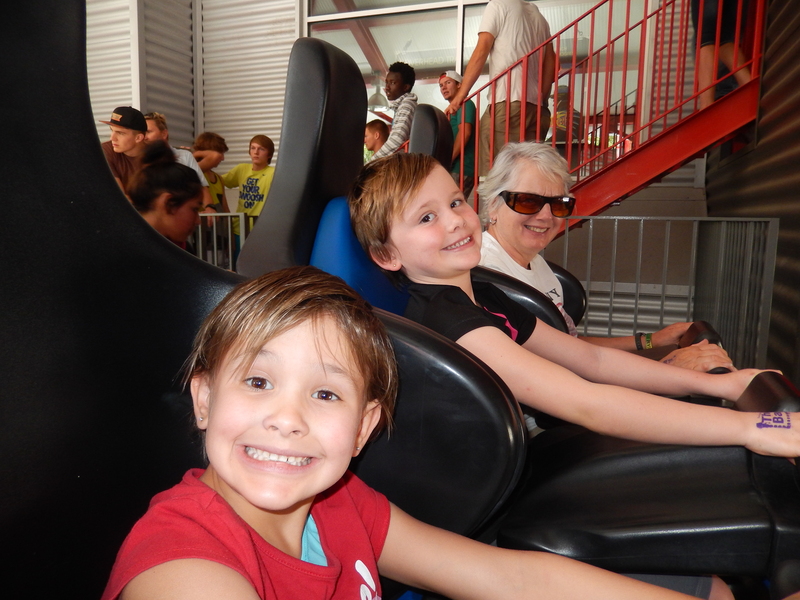 The rides and the water slides were fun for all of us and the girls never seemed to run out of energy. 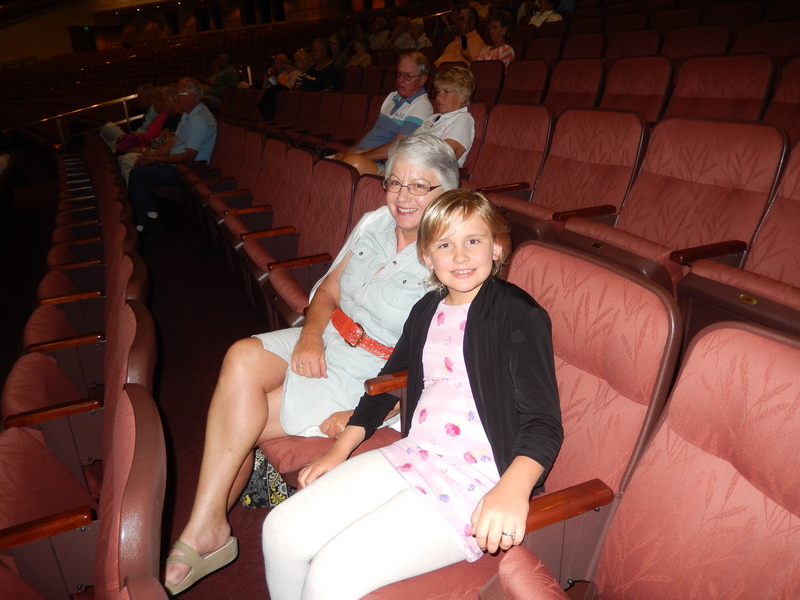 One afternoon we picked up Katrina from her library program and took her out for dinner and to watch the Mormon Tabernacle Choir practice. The choir practice is every Thursday night and is open to the public. 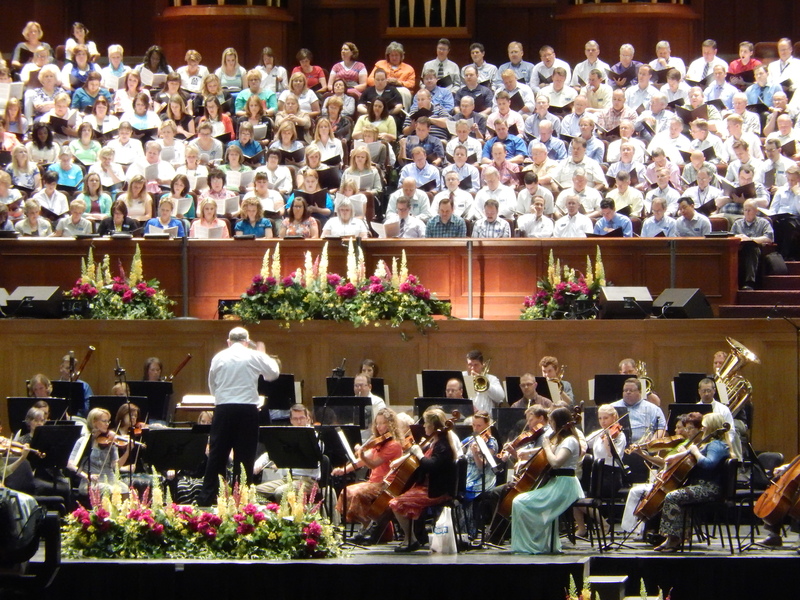 This was certainly not your normal church choir practice as there are hundreds of singers and a full orchestra. Katrina enjoyed the performance a lot. I am always amazed at the professionalism of the Tabernacle Choir. I would hear them sing a selection, thinking it was perfect and wonderful, and yet the choir director would stop them to point out how it could be done better and go over specific parts that needed work. 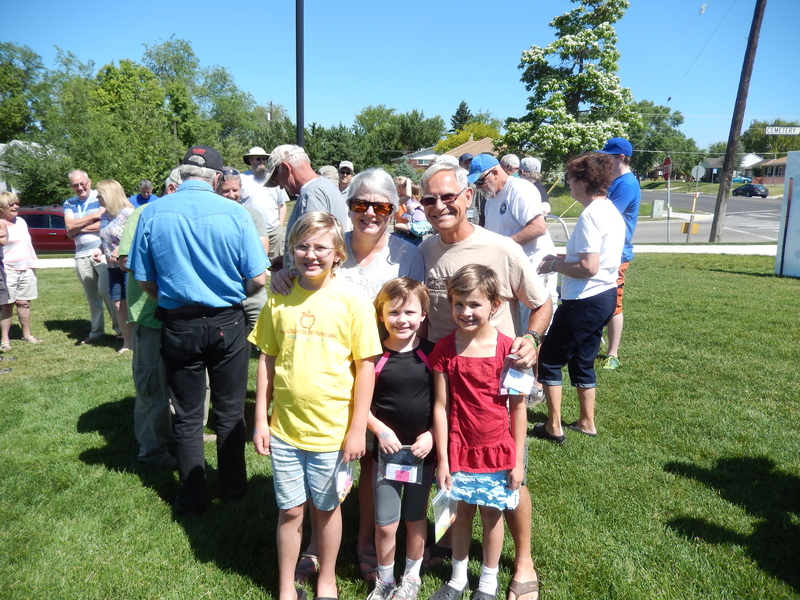 June 7th was the twins’ birthday and a local geocaching group was having a flash mob event at a local park. We played in the park playground until the scheduled time, then we all rallied at the appointed spot. The organizers asked who had a birthday and we thanked them for organizing this event just for the twins. 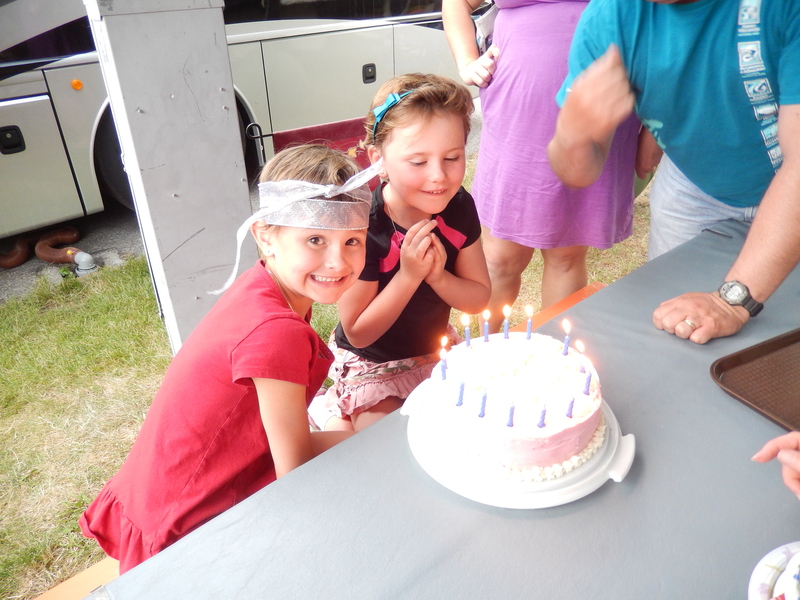 They enjoyed having “Happy Birthday” sung to them by a bunch of strangers! That afternoon the girls all helped bake the birthday cake. We all (Pat and I, Scott, Sandra, and the girls) went out for dinner then came back to the trailer to open gifts and have cake and ice cream. What a great celebration! Pat and I were happy to be a part of it. All good things must come to an end. Sunday evening, we had everyone over for one last dinner together, finished off the remaining cake and ice cream and said our goodbyes. We are already looking forward to our return in October. Monday, June 9th, we pulled out early in the morning to start the trip to join the RV Caravan in Dawson Creek, BC. We’ll have stops in Glacier National Park in the US, then Banff and Jasper in Canada before we arrive at Dawson Creek. This entry was posted in Fulltime RV, Michigan Traveler, Utah and tagged Bonneville Seabase, Cherry Hill RV Park, fifth wheel trailer, full-time RV, fulltime RV, Geocaching, Lagoon, Mormon Tabernacle ChoirGreat Salt Lake, Museum of Natural Curiosity, RV Forums, SCUBA diving. Bookmark the permalink.